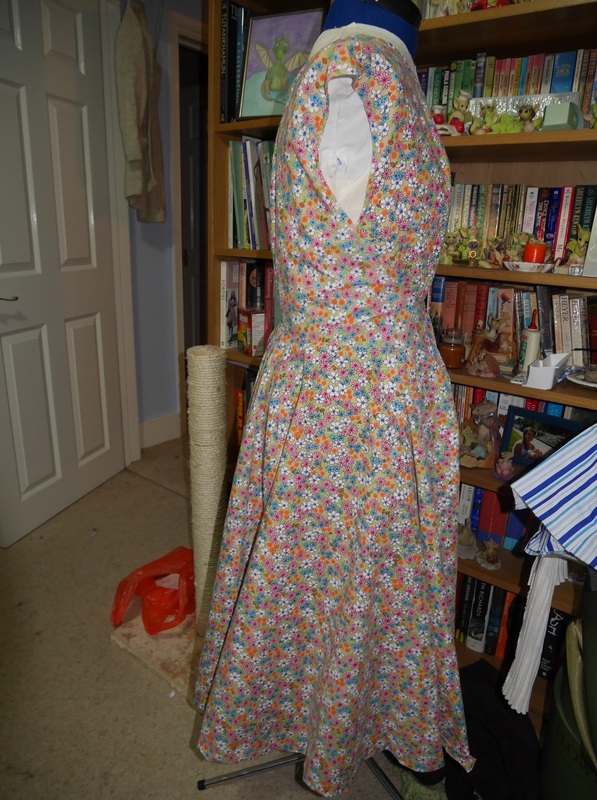 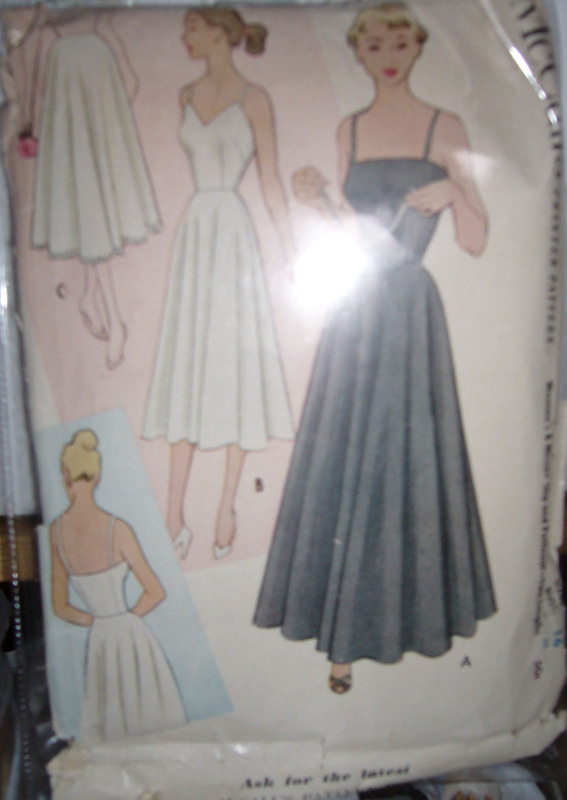 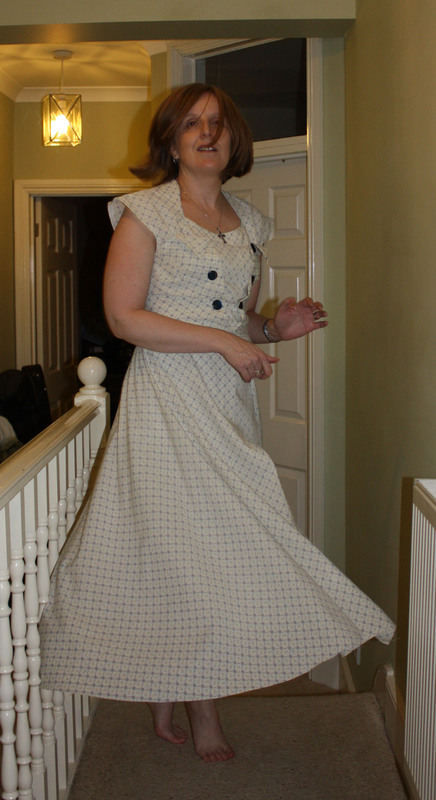 THe Walkaway dress, well we started it we put the three peices together then we put the bias binding on. 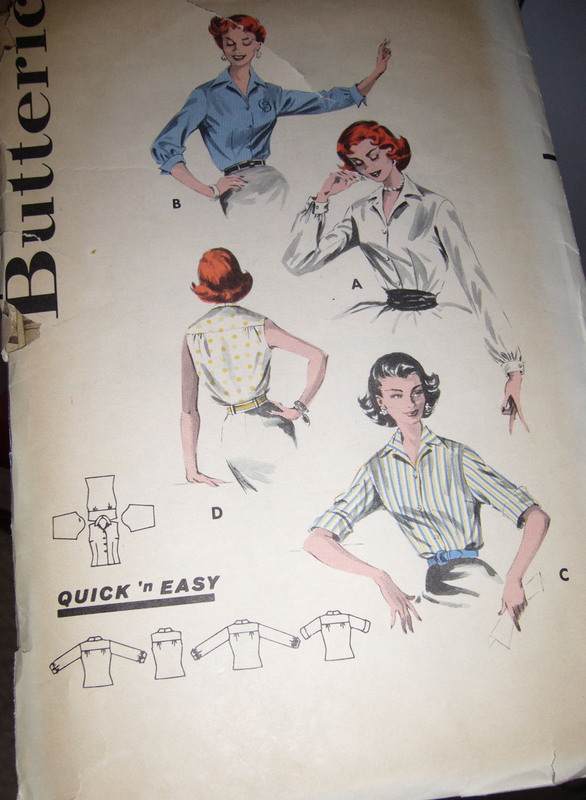 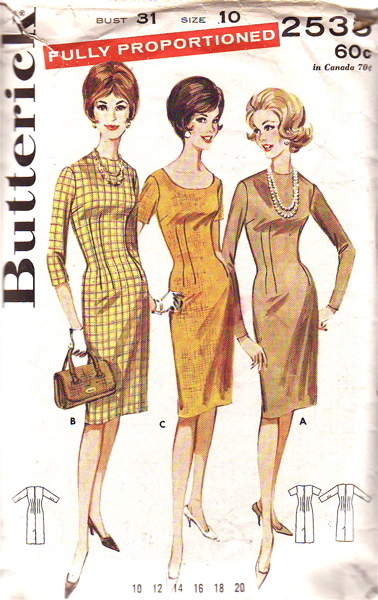 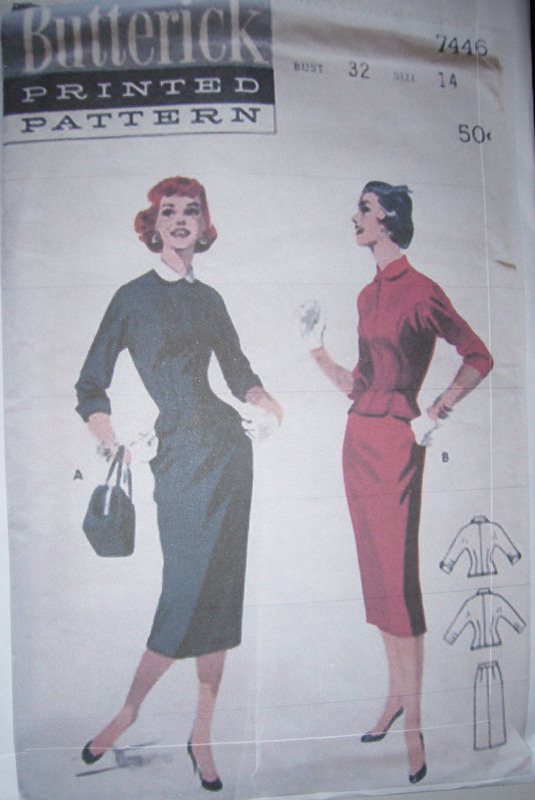 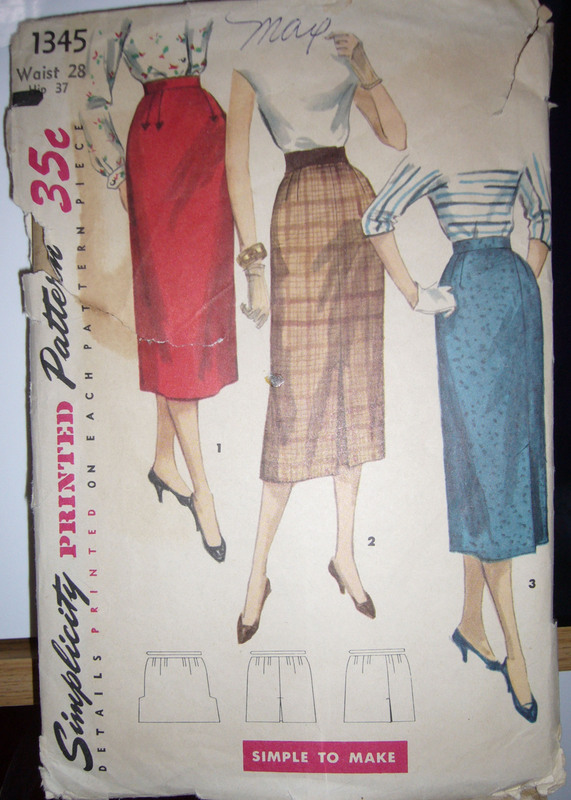 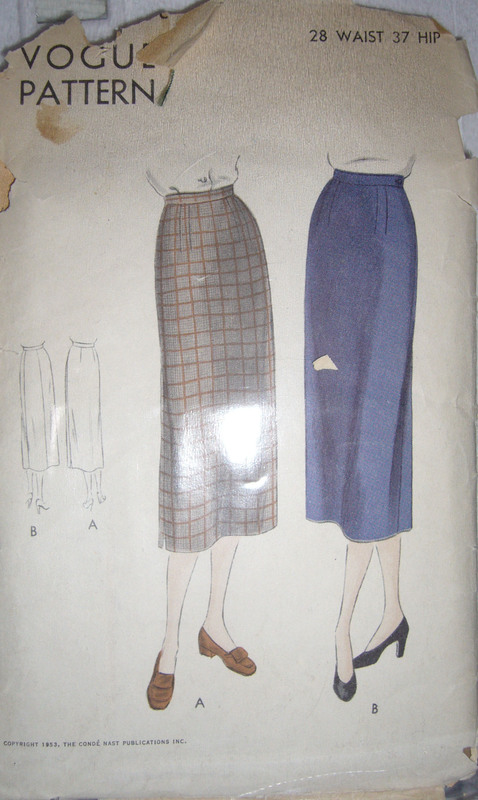 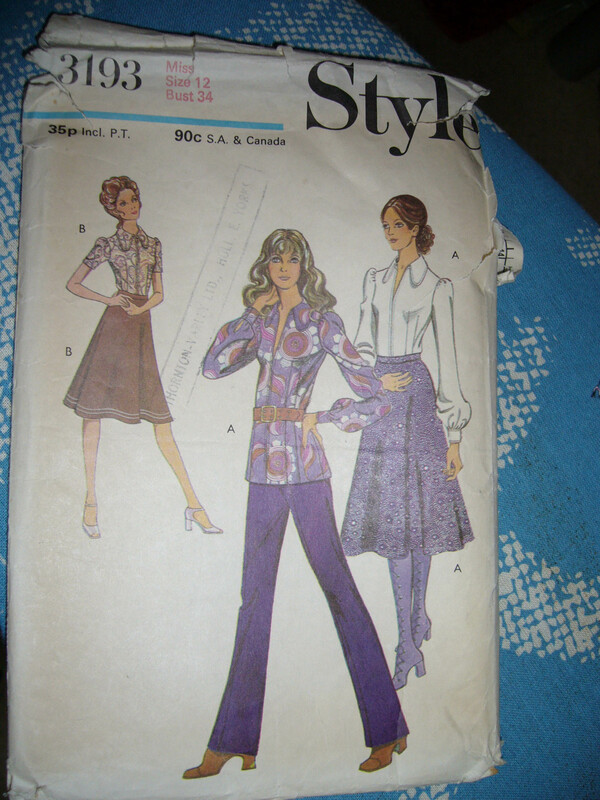 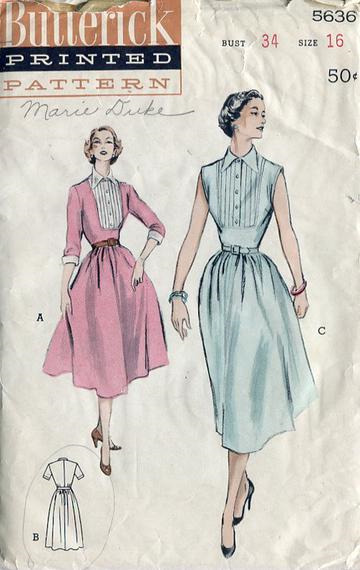 I can honestly say this was the most boring thing I have ever made, the other thing I would like to say is if Butterick sold so many of these patterns in the 50s where are they? 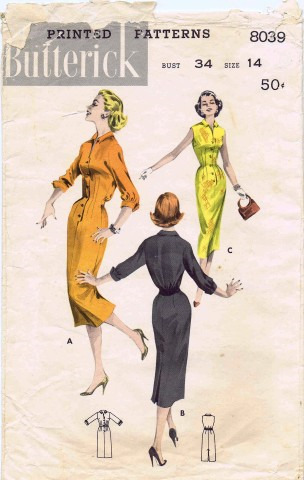 I can’t help feeling that 1950s sewer had as much trouble with them as 2015 sewers and a lot of them went straight in the bin. 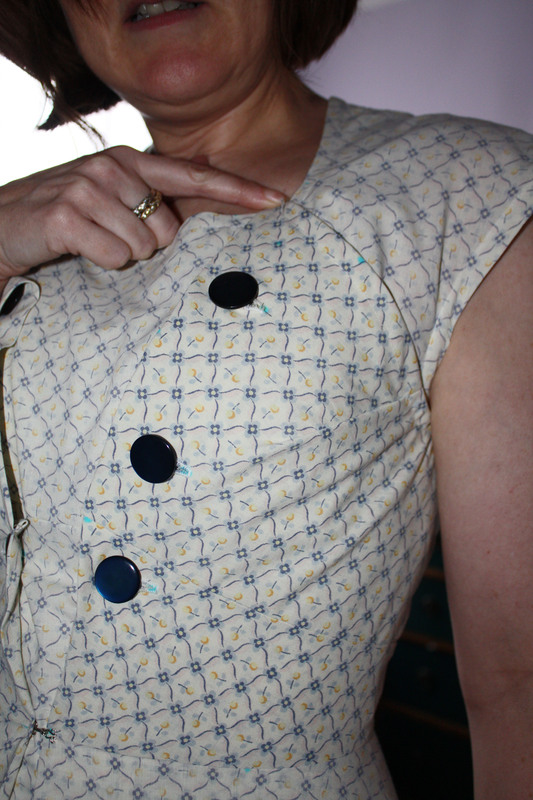 I did learn a couple of things, I made my own bias binding for the first time, the print I used in the end was too busy for a shop bought binding, the binding looks great. 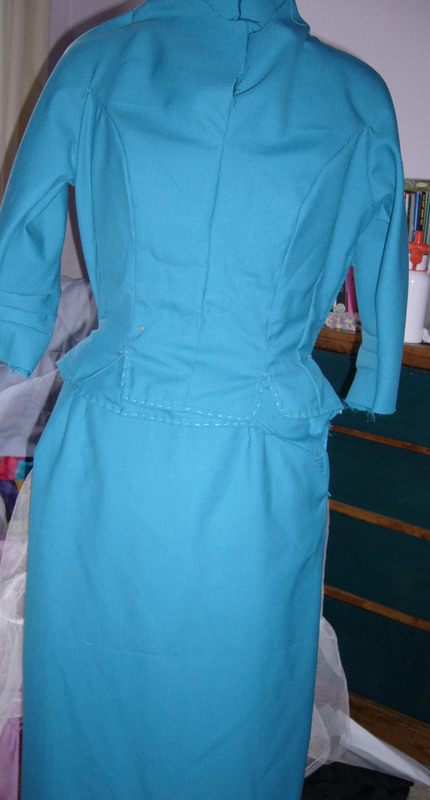 I bought a bias foot for attaching it I found that it didn’t make it easier or harder to attach the binding, Denise found it a lot easier not to use the bias foot at all. 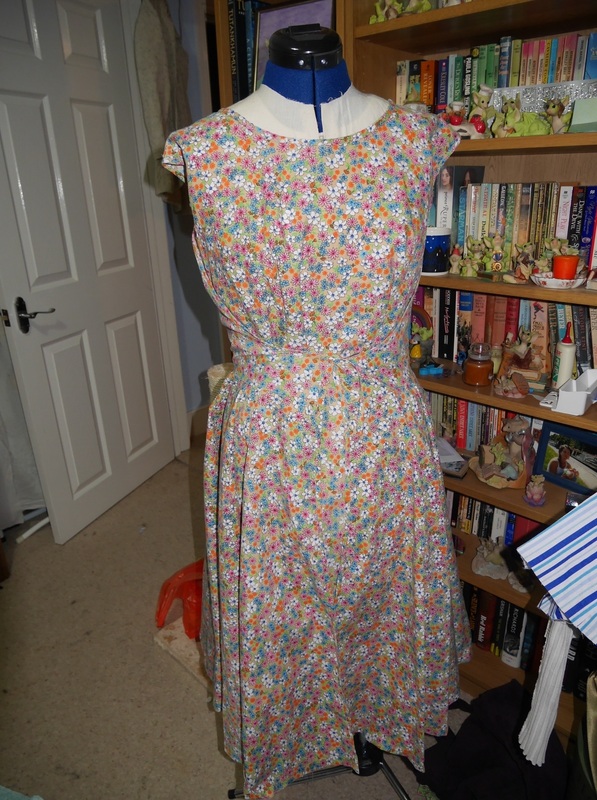 I read up a lot on the internet before starting this dress, I was particularly worried about Denise’s chest so we cut her upper chest size to start off with and graded out for the bust, it is still a little bit gapey around the sides but fits her shoulders, it is unfortunate that she has lost a few inches from around her waist since we cut it out so it is a bit big in that area we decided to just fold over the excess fabric. 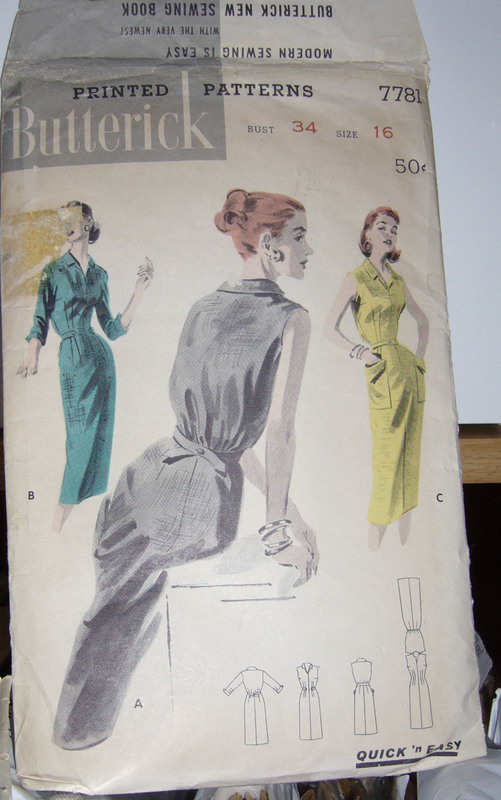 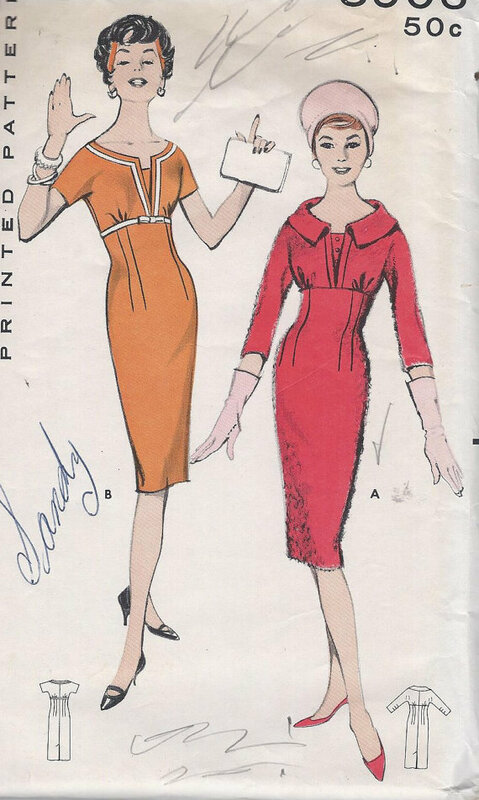 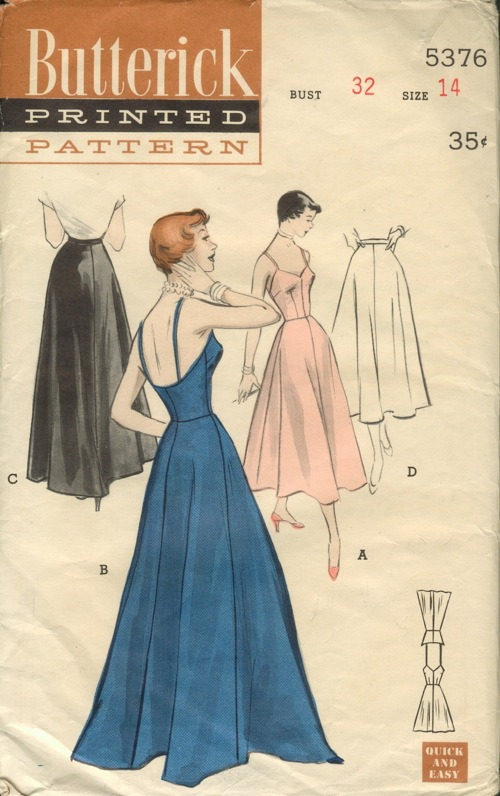 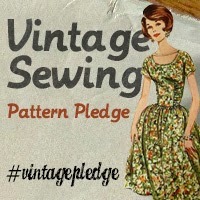 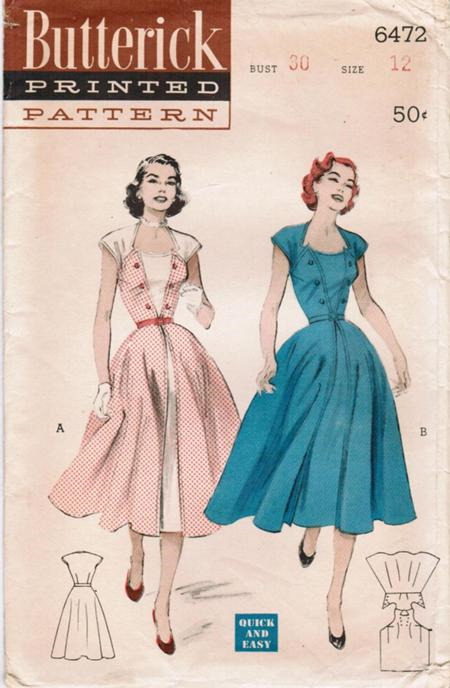 The other thing I am assuming is that the 1950s pattern did not tell you to hang the dress for 24 hours before hemming, that would have completely put paid to the ‘start at breakfast, out for lunch’ slogan. 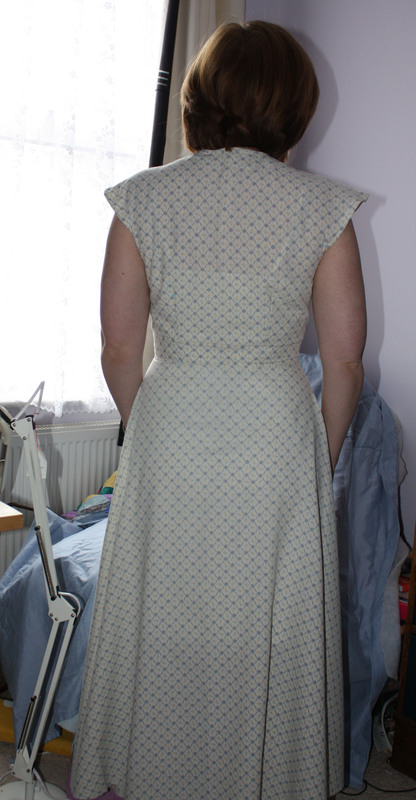 The walkaway dress is finished as far as I am going with it, I know I need to take about half and inch out of the bodice. 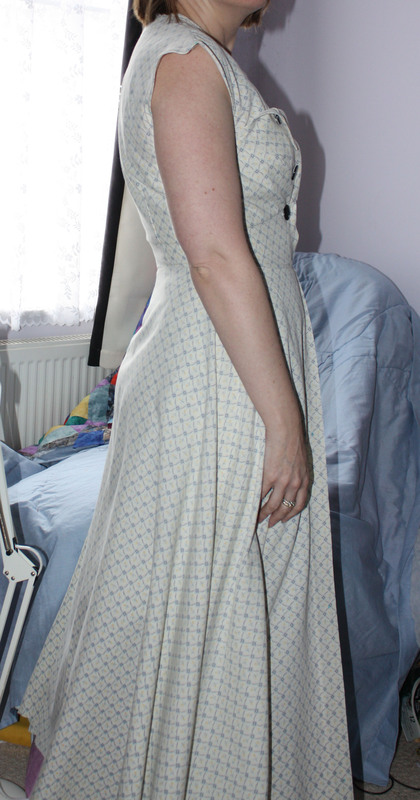 The first pictures were taken before I took the half inch out of the bodice. 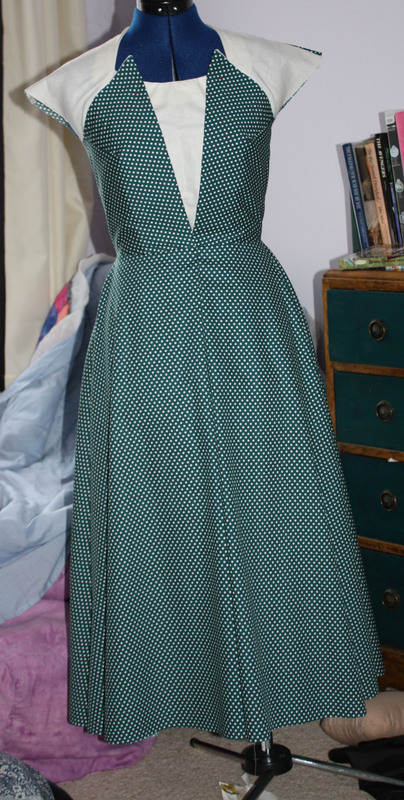 You can also see that my dress is having some interfacing problems, the only parts on the pattern that are interfaced was the neckline, looking at my prototype I also need to interface the front where the buttonholes go. 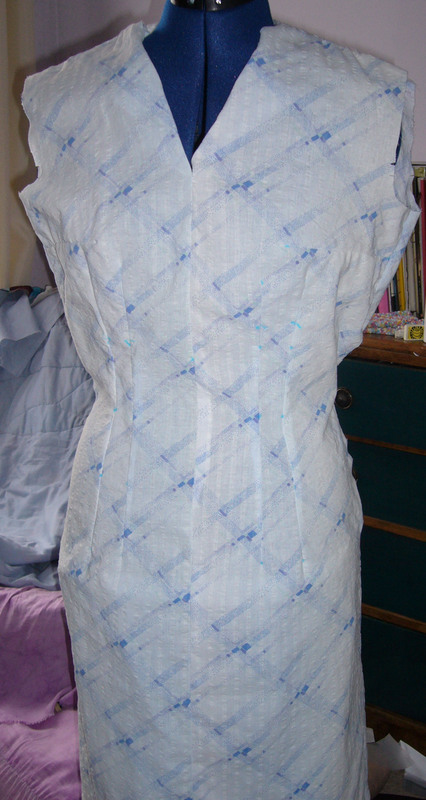 The only thing different on the second pictures is that I have taken half an inch out of the bodice, this should stop the wrinkling accords the back and help the front piece stay in place. 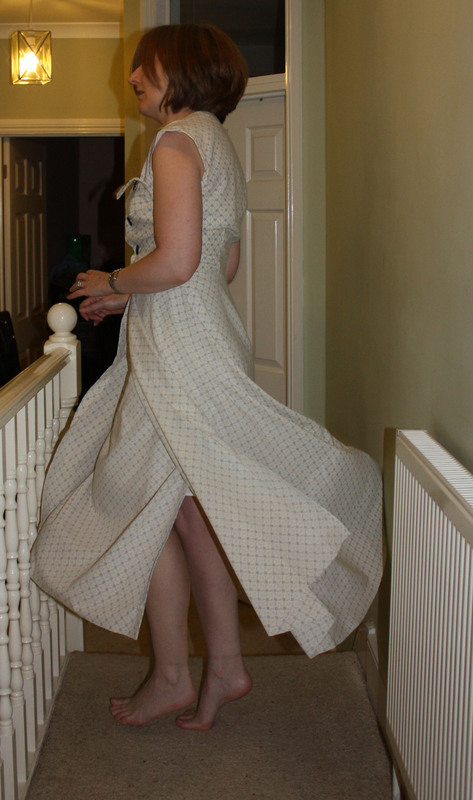 For strictly come dancing fans I like call this one my paso pose. 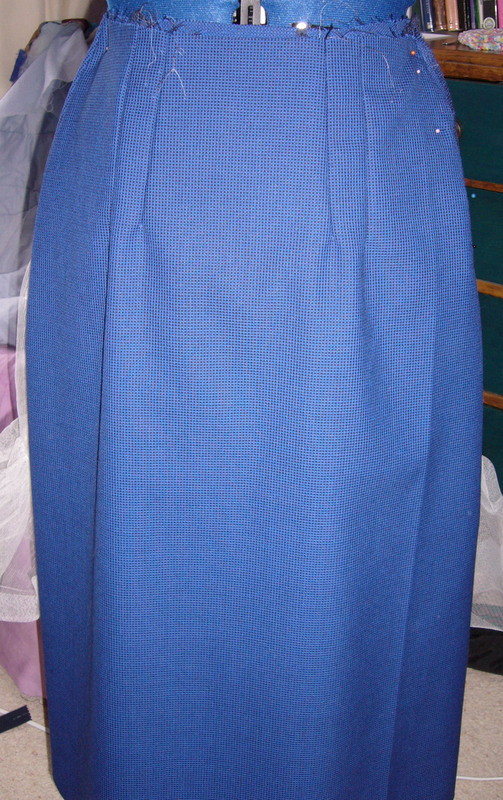 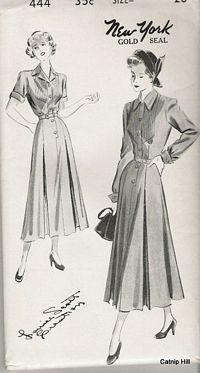 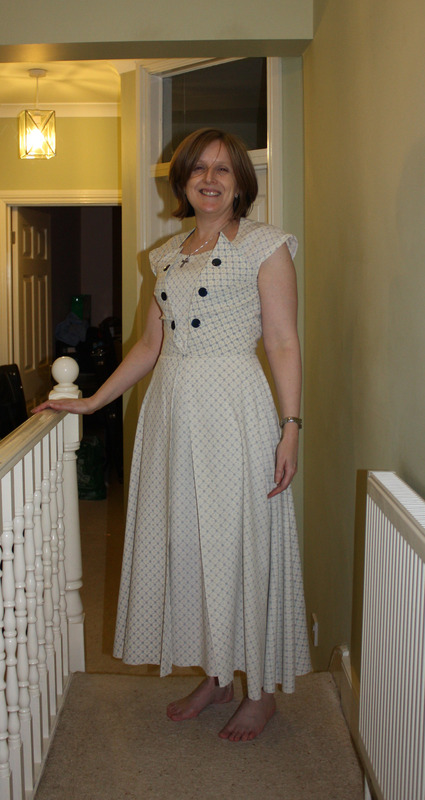 Obviously the bottom button is now in the wrong place but once that is is moved the top of the dress should lay flatter.